If you are using Mac, then putting any file in Trash means that files have been marked for permanent deletion. But for the moment it is only marked, until you empty the trash the file will still exist inside the trashcan, just like in real life. If you have a lot of free space on the device then you can neglect to empty the trashcan but what if you need space or out of fear that someone may get those files from your computer, you are thinking of completely eliminating those files. 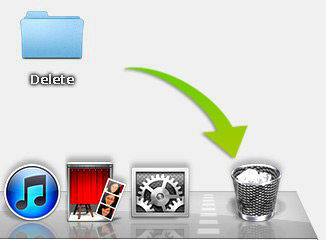 So, how to empty trash on Mac, the procedure is very easy and it is elaborated below in this detailed guide. Mac works a bit differently! On most devices just clearing the trash is enough to get rid of those unwanted files but if you are using Mac then you should know that those files aren’t being deleted. They are still on your Mac, just waiting to be overwritten next time you need space. This is the reason some of the trashed files can be recovered. But the problem is that some of us sometimes handle some very sensitive information that can not fall into the wrong hands under any circumstances. Step 1: First of all, if you use the Secure Trash then it will take longer to get rid of those files. Step 2: So, open your Mac and click and hold on the Trashcan. Step 3: Now, hold the Command Key and just click on the Trash. Step 4: Then, Empty Trash will be converted to Secure Trash. Step 5: If you want to do it from the Finder window, it will be easier. Just click on Finder menu and choose Secure Empty Trash. As you can see using the Secure Trash feature is very easy and doing it will definitely protect all of your important files from falling into the wrong hands. All of these years if you just sent the files to trashcan then it took a lot of space of your device but what if you tried to remove them from the trashcan but you were unable to do that. The only way remains is to force empty trash Mac. But, do you know how to delete trash on Mac forcibly? Well, you can find the answer below. Step 1: Then you have to stop any app that is using that particular file. Step 2: If it does not work then the app may have more than one background processes going on. So, you have to restart the Mac and then empty the trash. Step 3: Unfortunately, if that does not work then the only way to delete the file is to enter safe mode and empty the trash. Step 1: Then run MacOS Recovery by tapping Command plus R key and when the Utility interface appears you have to click on “Disk Utility” and after that click “Continue”. Step 2: In the Disk Utility you must choose the disk that contains that file you need to delete, now, you have to use the First Aid feature to fix the disk. Step 3: Finally, quit Disk Utility, restart the Mac and then empty the trash. 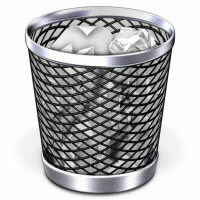 The entire article is based on how you can empty the trash on your Mac if it does not automatically perform that task. But what if one day you fixed that problem and cleared the trash and realized that there was a very important file that you sent to the trash which you need urgently. There are not a lot of ways to recover the lost files on Mac. The company will suggest some intricate procedure which may or may not solve your problem but there is no way you would rely on that uncertainty for the most important file of your life. Step 1: You need to start by download and install the app on your Mac device. Step 2: Now, run Tenorshare Any Data Recovery for Mac on your device. Step 3: Go to the main interface of the software and select the location to recovery. Step 4: Click “Scan” and wait for a while, you will all deleted files displayed for preview. Step 5: Select the files you accidently deleted and click on “Recover” to restore that lost file. Using this app you will be able to single-handedly recover all of your lost files. Although this is a fairly new app, its efficiency and convenience have impressed a lot of people. 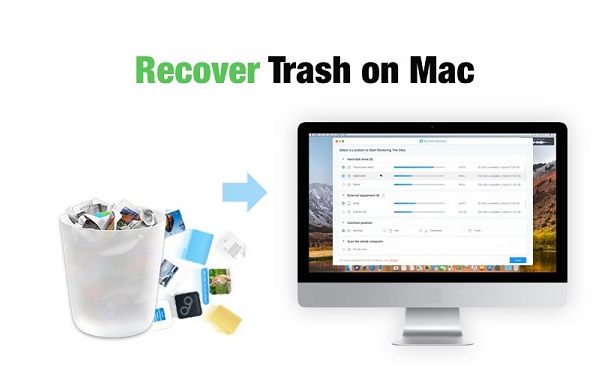 Ultimately, we can say that emptying the trashcan is very important on Mac. Basically, the file still stays on the device hogging more and more space, also if the file is very sensitive, then anyone can get access to that file and finally staying too long inside the trash it can get corrupted and may not get deleted even when you want to remove it. So, just follow the simple procedures mentioned in the article and empty before it is too late. And we highly recommend Any Data Recovery for all your lost or deleted data recovery needs.